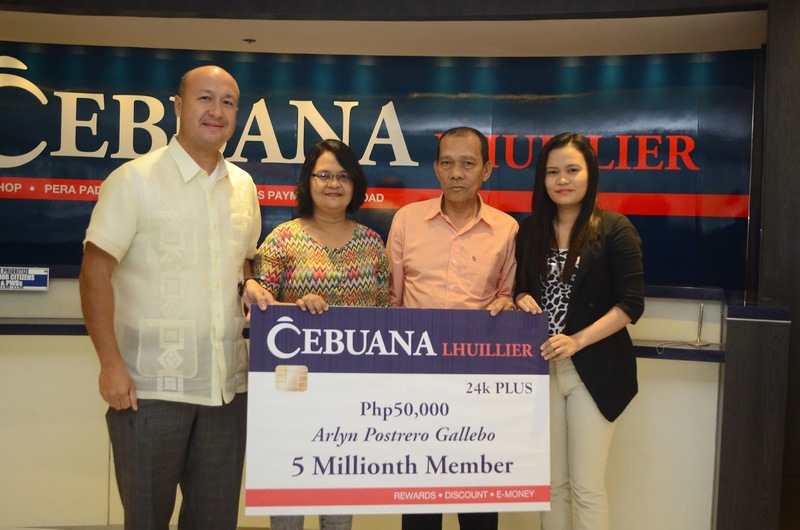 Gallebo was awarded P50,000 in cash, P1 million worth of insurance coverage from Cebuana Lhuillier Insurance Solutions, the insurance arm of Cebuana Lhuillier, and an additional P20,000 worth of prizes. “Cebuana Lhuillier, for many years, has prided itself in providing excellent customer service to our clients. It is a commitment that we have kept throughout these years, and which we will continue in the years to come,” said Cebuana Lhuillier President and CEO Jean Henri Lhuillier. The 24k Rewards Program is the first loyalty rewards program in the pawning industry. Through the 24k Plus Card, members earn points for every transaction—pawning, money remittance, insurance products purchase, bills payment and e-load—at any of Cebuana Lhuillier’s more than 1,700 branches. The card also grants its members with exclusive privileges, discounts and special service offerings. “The 24k Plus card has given our members more purchasing power—adding more value for their money—as the points have monetary equivalent, which the client can use to pay off interest fees for pawns, or remittance fees, even load credits for their prepaid mobile phones,” added Lhuillier. Cebuana Lhuillier has also recognized its previous milestone members. In 2011, they awarded the one-millionth member, Judith Pagkalinawan, a golf caddie from Cavite. The following year, which coincides with the company’s 25th anniversary, they awarded the 2.5-millionth member, Cynthia Tiangco, a housewife from Caloocan City.